MyAXA brings Employee Benefits members and our designated health insurance (FirstCare Plus) customers an array of enhancements. You can enjoy functions such as submitting medical claims online, searching for AXA healthcare doctors, viewing your claims history with smartphone and much more. 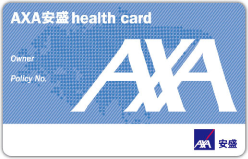 Group medical claims (Top 11 consultation types** incurred in Hong Kong for outpatient with claim amount up to HKD 2000**) submitted through MyAXA will be processed and paid within 5 working days*. * Determination of claims shall be based on the information submitted to us and subject to the applicable policy provisions. ** Determination of claim limit and consultation type is subject to policy eligibility. AXA ensures to provide the best service to its customers. To measure our success, we have partnered with eKomi that operates independently to publish genuine and impartial customer reviews.